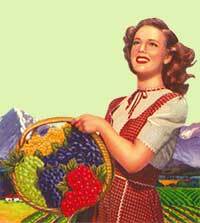 Howdy, Farmgirl Friends! Last time we talked about ‘Living the Dream’, and discovered that the good news is: we don’t have to wait until that elusive “someday” to actually experience our life’s strongest passions and desires. 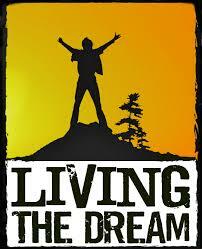 “The Dream” can actually be lived daily, although perhaps not the whole dream all at once. But HOW do we do it? Like many things, a lot has to do with how we look at it, and by proactively carving out tiny sacred spaces in our busy lives in which to live them, one tiny bit at a time. 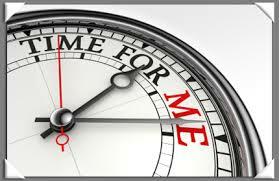 There is no time like the present to start! I discovered some time ago that if I were to wait until all conditions are right before I embarked on a personal dream, most of them would never come to pass. The example I used last time was a personal one. Since college days, many responsibilities have put my love of art and creating things on the back burner ‘till I have more time’. Of course, we all know that we NEVER will have more time … and if we DO find a few spare moments here and there, we usually fill them up with something else. 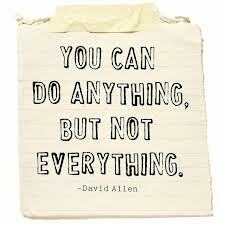 Instead of “it’s all or nothing” type thinking, we need to just start ‘doing it’ … whatever your “it” may be. We do this by setting some boundaries so that work or family obligations or whatever takes up most of our time, does not encroach upon our ability to live our dreams. This advice is not new. 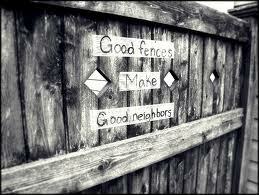 Like much of conventional wisdom, the proverb “Good fences make good neighbors” has been around for a long time. 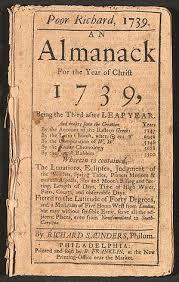 My old friend Ben Franklin first printed it in his classic pamphlet, Poor Richard’s Almanack. His version was: “Love your neighbor; yet don’t pull down your hedge.” Basically this means that it is easier to be friendly with your neighbor if neither one of you trespasses upon each other’s privacy or property. How true this is! The modern wording of this proverb, the one we all use today, comes from Robert Frost’s 1914 poem Mending Wall. 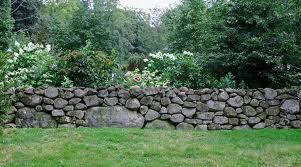 The poem centers around this concept of walls but questions whether or not it’s a good thing or a divisive one. While sharing is a beautiful thing, so also is the concept of knowing exactly where our boundaries lie, whether on our homesteads or in our hearts and lives. 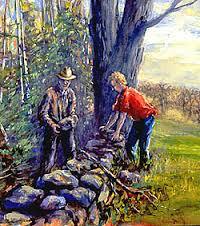 When our boundaries, like old stone walls, crumble --- things can run amok. What’s ironic is that Frost coined the new wording of a proverb: “Good fences make good neighbors”, while questioning the very wisdom behind it. And yet to me, there is great wisdom in setting appropriate boundaries. We are not cutting ourselves off from the world or from people when we do this … we are making wise choices so that we can connect with things that have the highest priorities in our lives. Learning to say “NO” is an important first step in setting boundaries. If you want something done, they say to “Ask a busy person”. Busy people like we are know how to get things done, and we are so conditioned to answer in the affirmative that we take on more and more things until we have no extra time to pursue our dreams on a daily basis. The word “No” is not synonymous with being selfish; it is actually the opposite. When we discard the superfluous in our lives, and have time for the important stuff, we are happier, more creative, more productive and more efficient people. Our relationships with others is better as well. Start with a few minutes a day at first, carving out time to do whatever brings you joy, and gradually, over time, create more. Be fiercely protective of this time, and do not let anything else take precedence; put up a personal boundary around it and guard it well. The refreshment you will receive from tending your own spiritual garden will reap a harvest of benefits that will spill over into every aspect of your life. What … there is no time at all? Get up earlier, go to bed earlier, lock yourself in the bathroom … whatever it takes. I was a 24/7 innkeeper on the verge of burnout a few years ago, and frustrated that I worked all the time and had little time to write and express myself creatively through art. Making the time (at the expense of letting something else go) was the beginning of a creative recovery process that has given me bursts of immense energy, and a prolific outpouring of original work. I have had many strangers lately comment on how my ‘eyes are so sparkly’, on my ‘pretty smile’ and other such ouward things that reflect an inner contentment. I found myself spontaneously saying, “I am very happy. I love my life!”. I wasn’t saying that a few years ago (and neither were others) when I was a tunnel vision workaholic. Creating boundaries and making good choices in those spaces has made all the difference. What would you like to be doing if you had the chance? How can you do it today, this very moment, even if only for a few minutes? 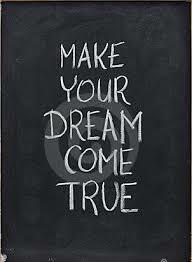 What goal can you set for yourself, and how can you structure your day so that you can say that you are Living Your Dream? You may not be able to ‘buy the whole farm’ yet, but you can grow a few vegetables or herbs on your windowsill and start planning for when you will. These are all important, vital questions to ask yourself, and setting good boundaries is the way to achieve them. In the process, you’ll find that far from isolating you from the world, these “fences” you’ve set have made you an even better neighbor! (You may have noticed that I have not been able to respond to comments ... my spam emails have gotten out of control, often with thousands of them a day. If you want to write to me directly, do so at LodgeLady@ilovethelodge.com . I'd love to hear from you! I have tried to comment several times with no luck, it I will try again. So often your blog speaks to what I need to hear. I finally learned how to say no and it has made such a difference in my life. I still don't have enough time to do all the art I want to do, but it is getting there. I do not understand how you can find the time to do these delicious articles for us. I should write you often and tell you how much enjoyment I get from your pics and thoughtful musings on many subjects. Sure would be terrific if I could make your acquaintance and have a cup of tea together from time to time! Alas, I don't see that happening in person. Thanks for the joy you share with us! I SO enjoy reading your postings. 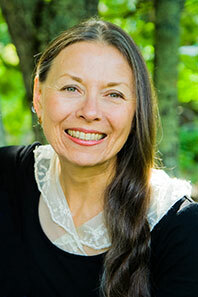 Your wisdom is a treasure and I soak up as much of it as possible. 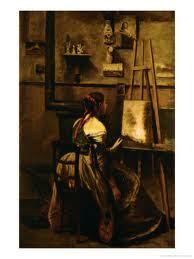 Of course, I agree with your point of view on many things, so that makes my adoration of you very easy. Thanks for sharing once again and giving me some pearls of wisdom to ponder. Off I go to ponder . . .